This milkshake borrows its name from the classic summer treat—a vanilla ice cream bar coated in orange sherbet. Skip the dripping bar and popsicle stick for this great on-the-go drink. 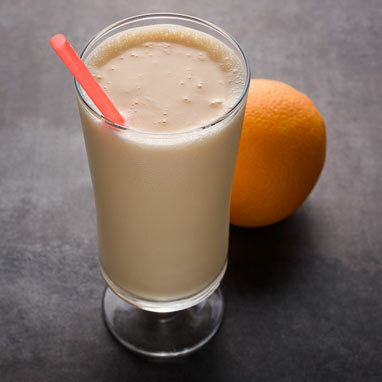 With only five ingredients, including real orange juice, this Creamsicle is easy to make and perfect for hot summer days when you need a little old school pick-me-up.